Insteel Industries Inc (NASDAQ:IIIN) was in 5 hedge funds’ portfolio at the end of the fourth quarter of 2012. IIIN has seen an increase in hedge fund interest of late. There were 4 hedge funds in our database with IIIN holdings at the end of the previous quarter. If you’d ask most market participants, hedge funds are assumed to be underperforming, old investment vehicles of years past. While there are over 8000 funds in operation at the moment, we at Insider Monkey hone in on the crème de la crème of this club, around 450 funds. It is widely believed that this group has its hands on the lion’s share of all hedge funds’ total capital, and by watching their top equity investments, we have discovered a number of investment strategies that have historically outstripped the broader indices. Our small-cap hedge fund strategy beat the S&P 500 index by 18 percentage points annually for a decade in our back tests, and since we’ve began to sharing our picks with our subscribers at the end of August 2012, we have outpaced the S&P 500 index by 24 percentage points in 7 months (explore the details and some picks here). Equally as important, optimistic insider trading sentiment is another way to parse down the stock market universe. Just as you’d expect, there are a number of reasons for an insider to cut shares of his or her company, but just one, very obvious reason why they would buy. Various empirical studies have demonstrated the valuable potential of this method if “monkeys” know what to do (learn more here). Consequently, let’s take a gander at the recent action regarding Insteel Industries Inc (NASDAQ:IIIN). In preparation for this year, a total of 5 of the hedge funds we track were long in this stock, a change of 25% from the third quarter. With hedgies’ sentiment swirling, there exists a few notable hedge fund managers who were increasing their stakes significantly. According to our comprehensive database, First Eagle Investment Management, managed by Jean-Marie Eveillard, holds the biggest position in Insteel Industries Inc (NASDAQ:IIIN). First Eagle Investment Management has a $11.1 million position in the stock, comprising less than 0.1%% of its 13F portfolio. Sitting at the No. 2 spot is Martin Whitman of Third Avenue Management, with a $10.7 million position; 0.2% of its 13F portfolio is allocated to the company. 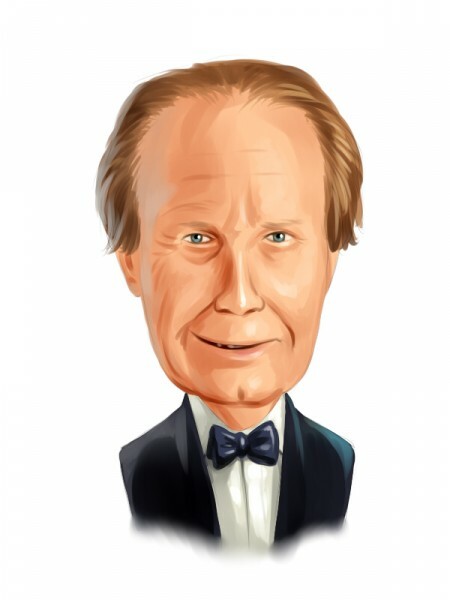 Other hedgies with similar optimism include Chuck Royce’s Royce & Associates, Thomas E. Claugus’s GMT Capital and D. E. Shaw’s D E Shaw. Now, specific money managers have been driving this bullishness. D E Shaw, managed by D. E. Shaw, initiated the most outsized position in Insteel Industries Inc (NASDAQ:IIIN). D E Shaw had 0.1 million invested in the company at the end of the quarter. Insider purchases made by high-level executives is best served when the primary stock in question has seen transactions within the past half-year. Over the latest six-month time period, Insteel Industries Inc (NASDAQ:IIIN) has seen zero unique insiders buying, and 5 insider sales (see the details of insider trades here). Let’s also review hedge fund and insider activity in other stocks similar to Insteel Industries Inc (NASDAQ:IIIN). These stocks are China Gerui Adv Mtals Grp Ltd (NASDAQ:CHOP), Gibraltar Industries Inc (NASDAQ:ROCK), AK Steel Holding Corporation (NYSE:AKS), Universal Stainless & Alloy Products (NASDAQ:USAP), and Northwest Pipe Company (NASDAQ:NWPX). All of these stocks are in the steel & iron industry and their market caps are closest to IIIN’s market cap.